Startup company or business is a business which has been created with new ideas and new services. These kind of startup business produces such kind of products which is required to satisfy the customers needs and wants. An individual person who is willing to start a business to execute his / her plan should be very alert as he is very new to the business market. In this competitive business market starting up a new business may forecasts risks and loss. The most common mistake that every startup business commits is starting a trading company of a sole ownership. A startup company or business requires support and this kind of business support can be provided by approaching business partner for starting up a new venture. A partnership between two partners can start a new startup business or company. Another mistake can be that approaching more than two partners, which can never work out well for a startup company or business. Another common mistake that every startup businessman commits is choosing a wrong place for his / her startup business. A startup businessman need to keep in mind that while choosing a location, the location of business should be reasonably profitable to him / her. A location of the business matters the most for any kind of a startup business. 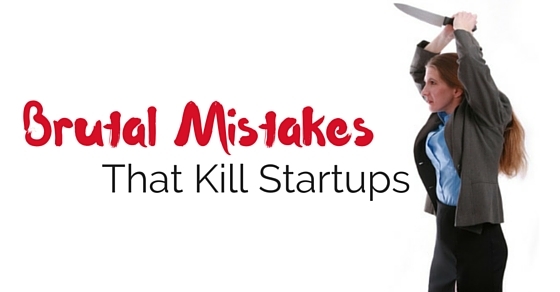 It is the base of a startup business and a small mistake in that can ruin whole thing. While starting up a new business or startup, the main person who handles all the activities of the business need to specific about the target market. A target market is a specific product which is to be targeted to satisfy the needs and wants of the customer. For example, if in an area there is a food center which is enjoying profit very well then a person can target that area to open another food center to build his / her startup business. Whenever a person thinks about starting his / her own business, he / she should be clear about all the business elements to start a startup business. To start a startup, a person who is the sole owner or owners of that business needs to think about a sustainable business idea. A business idea should be sustained because the business market is full of competition and a startup businessman need to think before entering such a competitive business market. A flexible business can undergo a drastic change without a single damage or loss of his / her business contacts or clients. Therefore, it is very necessary that all startup business need to understand how to be flexible in their business. And also know how to grab any kind of opportunity in the business market. Inflexibility can be considered as a big mistake in the overall development of the startup business. Every startup need to understand one thing clearly that while hiring an employee or a partner for his / her startup business or company, a startup businessman need to look into that, he / she hires someone who should be qualified and experienced in similar field. While approaching a partner for his / her startup business, he / she should consider that the partner need to be well experienced in similar business. Avoid selecting freshers for a startup business or company in initial stages. The next big mistake that can kill a startup business is that choosing a wrong platform for their business or company. A platform is a base for the business and it needs to be strong and reliable. In business, choosing a platform is considered as a way to approach the startup business. A platform of the business wherein which all the main plan relies on. The plan of execution depends upon stable platform through which a startup can be built strongly in business terms. It is possible that after working out all the main elements of the business, a startup business makes one mistake of launching their startup product a bit late. Because market or opportunity waits for no one. Therefore, it is better that while starting a business and studying all the elements about the business market, they should hurry in launching it on correct time so that it can attract their potential buyer and make them helpless to buy it as there is no alternatives for that. A simple market survey before launching any kind of product or services would be considered as a smart move for any kind of startup business. Sometimes after studying the market for several time a businessman makes a smart mistake of launching a product little early. This can turn things worse. For example, if a person is selling an umbrella even before monsoon hits, that can be considered as a bad move because no one likes to buy an umbrella before the monsoon. A business, whether it is a startup or an existing one can only survive their business if they have in mind, to whom they are targeting their product. In normal words who are their target potential buyers. Potential buyers are those buyers for whom the product will be an asset or needful at that point of time. Like cosmetics for girls or gym products for men and many more. Therefore, a startup business needs to make an impression on their customer by targeting potential buyers. As mentioned earlier a startup business needs professionals who can handle investment issues of their startup business or company. A professional in the investment will be able to help a startup businessman for all the reasons behind their low profit ratio. A business which is very new to that business market should run at a reasonable rate of profit ratio. Or else it cannot cover up extra losses which is going to be faced in future. As mentioned earlier after starting a startup company or business, one need to think twice before spending on anything because eventually it can convert itself in a nonrefundable liability. Therefore, it is necessary to understand all the investment factor of the business and if not all, at least can understand some basics of investment matters. And this can help a businessman before making mistakes which can kill his / her startup business. A professional investment planner will definitely help a startup business about their higher profit ratio. It is not a big issue if a company is earning real good money for a startup business or company. But if a businessman doesn’t take responsibility of that high profit, then there is a possibility that it can turn itself into a mistake which can kill a startup business or company. Every business needs to cover their profit with a small part as saving which is crisis management. A startup business or a company should be prepared with their professional investment management. This investment management consists of all the elements of the startup business investment plans. These plans should be delivered with a single motive and that is a reasonable profit. A company which is earning well need to organize their investment plan accordingly by sponsoring others business with a share in profit ratio and much more. There is a possibility that most of the businessman tries to sell their product by making fake promises to the customers about their product. In a business, there is only one rule to follow and that is customers are the real boss, try to sell them what they want unless what you want to sell. Instead of making profit a startup business can start building their loyalty within customers and which can result that startup business or company with the brand loyal customers. Most of the startup company ends up being very popular among all the competitors in the business market. And at that point of time it is possible that there may be some kind of difference between people. During those times a founder need to publicly declare all the facts to their potential buyers to keep them safe from internal issues of the company. Therefore, it is very necessary to understand all the communication difference between people to create peace within the company. If there are more than two or three founders or partners of the business or company, then there is a mere possibility of difference of opinions between them or sometimes they can conclude their decision into one kind of settlements. But in most cases the startup businesses suffer loss because of their difference of opinion about their decisions and end up facing loss in their startup business. A startup company or business can suffer loss if a founder or founders of the business are no more interested in the matters of the company. Because of their non dedicated nature a successful company or business can ultimately get into the position of loss. Every business can run only if the people working for that company are passionate about their work and this can be delivered by 100% dedication towards their startup business. A startup company needs to be supported with a good quality and advanced feature of technology to survive in that competitive business market. These advanced technologies help a startup business build their brand with quality and quantity. Therefore, it is very important that a support from advanced technology can attract more customers and end up in increasing profit in their budgets of the startup business. A business needs to understand that they need to focus only on one thing that is to satisfy their customers needs and wants. And if a startup business fails to do that then it can face real loss in their business. Therefore, a startup business needs to deliver their product to the customers as per their needs and wants without any kind of delay. Therefore, a startup business or a company can survive in the business market with some of the smart moves which can let them survive in that particular business. And eventually it can accept them as a part of their business market family. There are plenty of opportunities to start a business with little knowledge and skill, but if a person is determined and dedicated about his / her business then he she can definitely turn their dedication into reality. Therefore, every single businessman need to have a risk taking ability to grow their business because without risk nothing is going to work out. And if a person with high dedication and determination wants to start a startup business, then he / she can make note of all the above mentioned mistakes to be safe and to protect their business from loss or risk which can brutally kill their startup business or company.